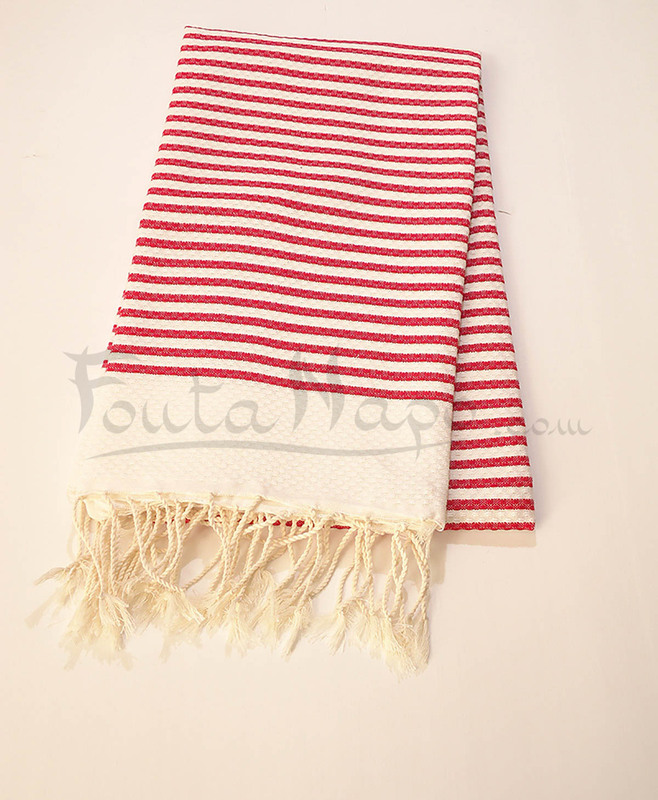 The Fouta towel honeycomb Ziwane White & Red, also called Zebra Fouta, is a beautiful towel, chic and elegant. 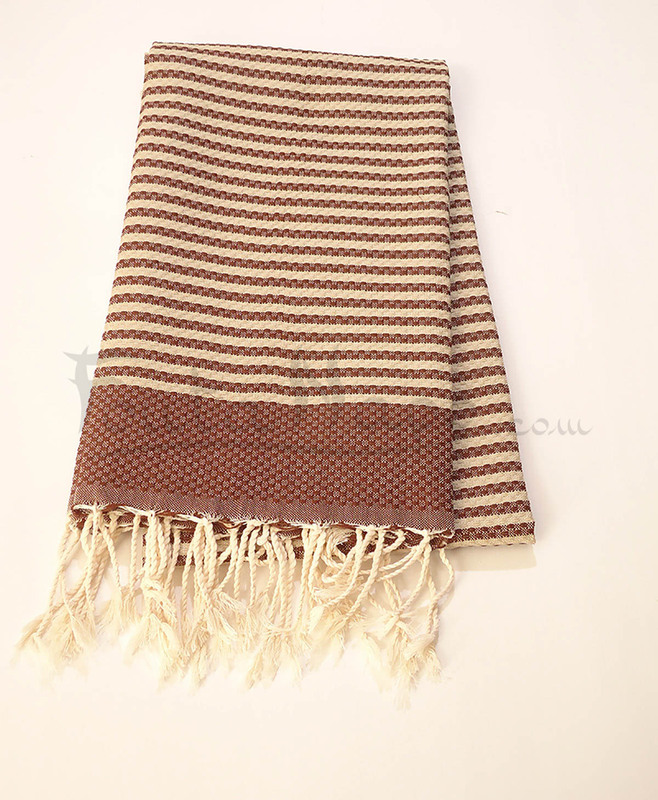 The weavers are men and the finishes of the fringes are handmade by their wives. 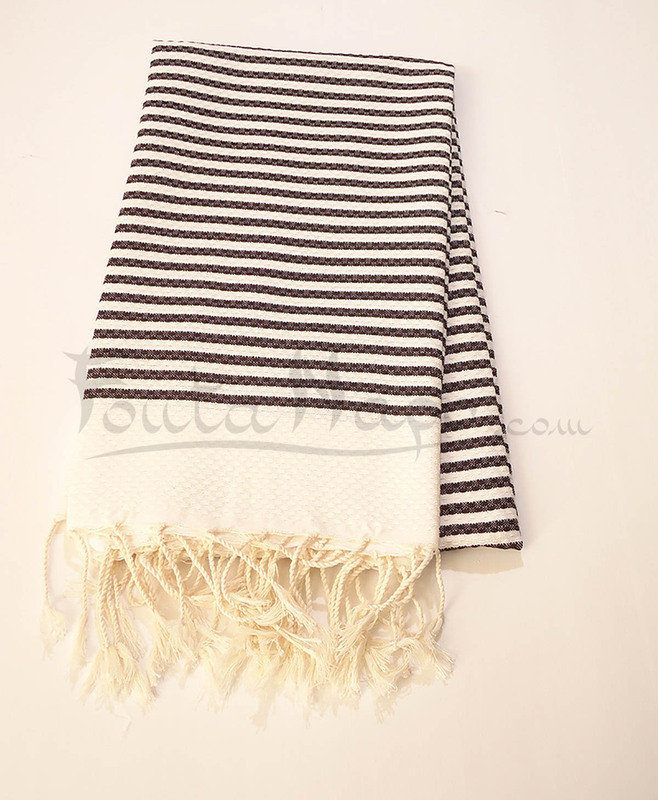 You can use this fouta modern on the beach or in the pool. It’s very ideal and perfect at home or for moments of relaxation and in cool evenings of spring and summer.